Berlin on Sunday blasted Turkey's President Recep Tayyip Erdogan in a spiralling diplomatic row, saying the strongman had gone too far in accusing Chancellor Angela Merkel of "Nazi" practices. 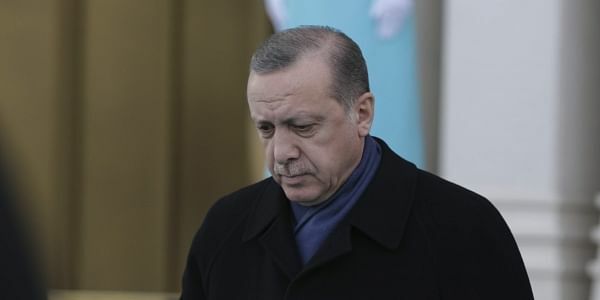 BERLIN: Berlin on Sunday blasted Turkey's President Recep Tayyip Erdogan in a spiralling diplomatic row, saying the strongman had gone too far in accusing Chancellor Angela Merkel of "Nazi" practices. "We are tolerant but we're not stupid," Foreign Minister Sigmar Gabriel told the Passauer Neue Presse newspaper. "That's why I have let my Turkish counterpart know very clearly that a boundary has been crossed here," he added, calling the Nazi comments "shocking". Erdogan had earlier Sunday accused Merkel personally of "employing Nazi measures" as new rows erupted between the NATO allies over a pro-Kurdish rally and last year's attempted military coup in Turkey. "When we call them Nazis they (Europe) get uncomfortable. They rally together in solidarity. Especially Merkel," Erdogan said in a televised speech. "But you are right now employing Nazi measures," Erdogan said referring to Merkel, pointedly using the informal "you" in Turkish. Julia Kloeckner, the vice-president of Merkel's CDU party, reacted angrily to the comments. "Has Mr. Erdogan lost his mind?" she said, telling journalists she was urging the EU to freeze "financial aid amounting to billions of euros" to Turkey. Tensions have been soaring in recent weeks after authorities in Germany and other EU states refused to allow some Turkish ministers to campaign on their soil for a 'yes' vote in next month's referendum on expanding Erdogan's powers. The split deepened this weekend after German authorities allowed some 30,000 pro-Kurdish demonstrators to rally in Frankfurt, many of them carrying symbols of the outlawed Kurdistan Workers Party (PKK) -- which the European Union, like Ankara, regards as a terrorist organisation. Turkey reacted with indignation Sunday after Germany's intelligence chief said he was unconvinced by Turkish assertions that Erdogan's arch-foe, the US-based Islamic preacher Fethullah Gulen, was behind the failed coup in July.